There's a million reasons why you could miss out on a Kickstarter campaign. The money's not there. You forgot. Your tux didn't come back from the cleaners. There was an earthquake. Locusts! It wasn't your fault, you swear to goooooooooooooooooood! But, thankfully, you can usually get in on it still during the late pledge and Pledge Manager time for the campaign. And that's where Gamelyn Games is at right now for Tiny Epic Tactics. The latest in the Tiny Epic series of games has launched up on Kickstarter. Tiny Epic Tactics is Gamelyn Games' next set, heading back to fantasy realms, it lets players grab their meeples and have whole adventures in tiny scale. Gamelyn Games has announced that the next line in the Tiny Epic universe is coming to Kickstarter next week. 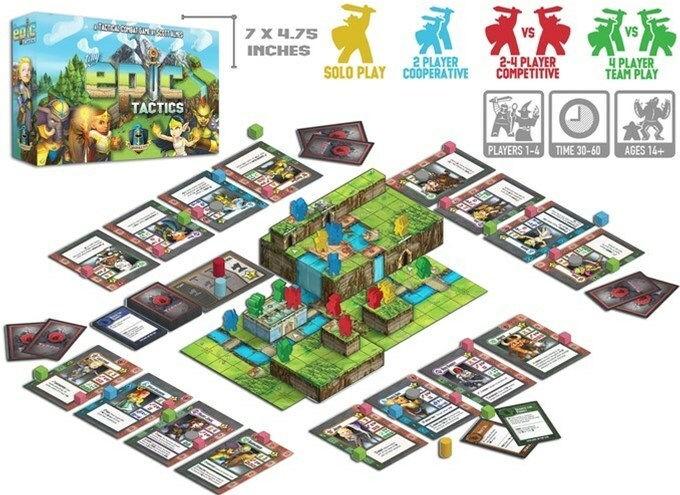 Tiny Epic Tactics will launch on the 19th. Of course, there's all new sorts of Meeples you can pick up. What does this new expansion hold? Let's take a look.